All modern appliances and plenty of storage. Dishwasher, coffee pod machine. Open plan family area with lounge seating for 6, Air-Conditioner. 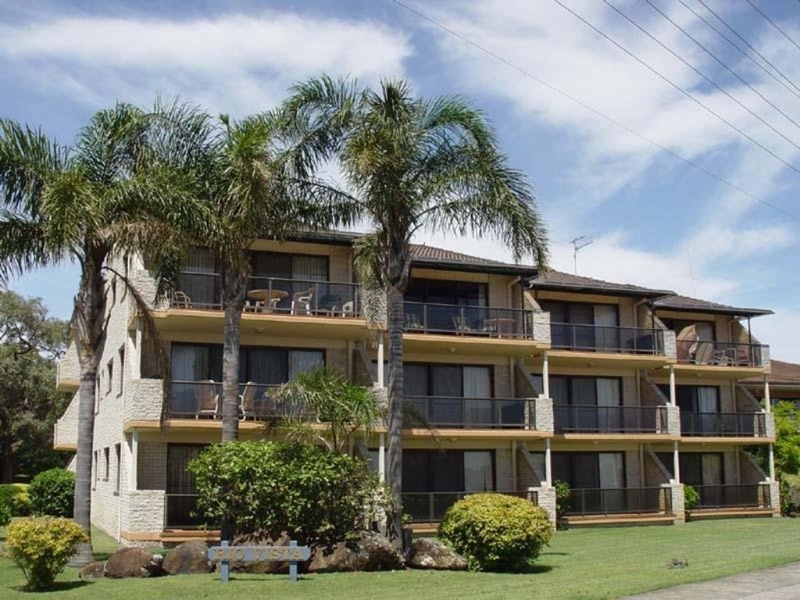 Opens on to balcony with views of Myall River. Queen bed with ceiling fan & Ensuite. Guests must bring their own linen (sheets, towels, tea towels, pillow slips and bathmat), Linen hire available on request from Hawks Nest First National. Surfing, bush walking, tennis, golfing, bowls, cycling, hiking, croquet, zumba classes, yoga, kayaking and more. Wonderful unit for getaways, opposite boatramp, childrens playground and The Myall River. Guests will need to bring their own Cleaning products and personal items. We have a Supermarket in Hawks Nest if you do not wish to travel with these items. There is also a high chair and some basic cleaning supplies may be available.